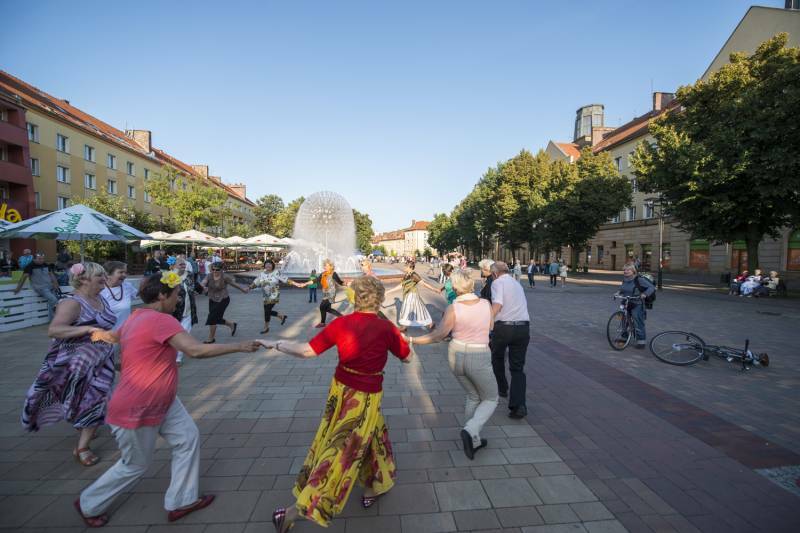 Tychy program ‘Active 60 plus’ aims to increase the activity level of the residents Tychy who are above 60 years old (it means over 27 thousand of Tychy citizens). The campaign was inaugurated on 19th April 2012 in rev. E. Szramek School of Management and Social Sciences in Tychy. During the meeting, the citizens of Tychy familiarized themselves with the main aims of the campaign and planned actions. Our special guest was Elżbieta Dzikowska - a famous traveller, art historian and a journalist. During her author meeting entitled ‘Where I was’ she talked about her recent journeys and books. In March 2013, the program ‘Active 60 plus’ was awarded by the Silesian Province Governor. The ‘Silesian for 5’ statuette was awarded to City Hall in the ‘product’ category for launching the ‘Active 60 plus’ program which provides access to relief and discounts in the city and private institutions which joined the program. The Silesian Province Governor, Zygmunt Łaszczyk, has awarded the prize for the fourth time. The purpose of the contest was to honour the institution, people and companies operating in the Silesian Province, whose achievements considerably contribute to promoting the elderly activity and building an intergenerational solidarity. During this edition, inspired by celebration of the European Year of Elderly Activity and Intergenerational Solidarity, the winners were awarded in five categories: education, economy, charity, product and personality. A special prize was awarded as well. On 15th March 2013 in Katowice, Daria Szczepańska, the Deputy President for Social Service received the award from the Vice Province Governor, Andrzej Pilot. How to join the ‘Active 60 plus’ program? Every citizen above 60 years old can join. Citizens should report to the Customer Service, which operates on the ground floor of the City Hall, showing their valid identification document with a birth date. Upon filling in the application, the participant will receive a special card, which entitles them to relief and discounts in city institutions, but also in companies, which joined the program. The card is valid with an identity document.